Here is the text for the visual impaired people. Go viral on YouTube for free / 3 simple steps + 7 bonus tips. Start with an irresistible awesome intro. A Question, A Solution, A Teaser. You've got 10 seconds to seduce people to watch your video. 10 SECONDS ARE GONE and so are your viewers. You need just one AWESOME video, not hundreds mediocre. It's like winning the lottery, 100000 almost rightwill not bring in the money. Come up with a VIRAL Title, an irresistible description and splendid SEO keywords. The formula for YouTube Success, 3 Simple Hacks to succeed. Watch your haircut and background. Be to the point. Get rid of the em's and eh's. Share anywhere you can. Social Media, Email, Whats-app. MAKE IT HAPPEN. Release it on Monday or Tuesday. For some reason, people have more time to watch. Nobody shares when it's not good. Create interesting content. Tell a story. Make your video shorter, no one is going to sit and watch a 10 minutes video. Write a VIRAL title. Do spend time on this one! Be sure the right people SEE your video. 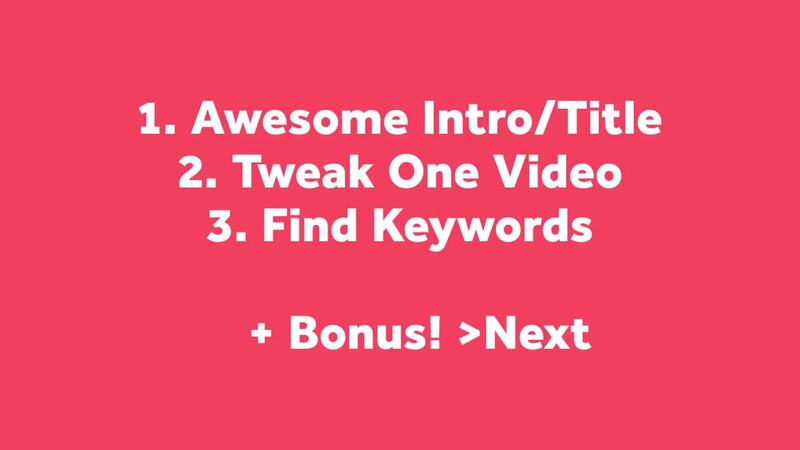 Success creating that one awesome viral video! How do I get people to actually subscribe? They watch and don't subscribe.. I guess I need to come up with that awesome viral video that you are talking about to get anywhere with YouTube. I thought I was accomplishing so much just by being brave enough to do videos on YouTube. I'm not sure I have what it takes to draw people in. One Day I WILL though. I have so many ideas, but I'm not brave enough to video it even if I could. I use my Mac Book Pro to video me and only when I'm alone. I'm a little shy believe it or not..
Great Video Loes, I think made with PowToon, which is an awesome tool to use for creating good videos. YouTube is very underestimated, especially the 'bell' function, watch videos you like, click subscribe, Bell then sit back and watch the notifications come to you, for prospects who you would like to attract. Like clicked... and tagged for sharing in the future. Amazing Clues for phenomenal success, Loes. Thank you. Thank you for the great video Loes, short and very much straight to the point! Incidentally, how did you create your video please? Thank you Loes, that's interesting, much appreciated, I will take a look. Thanks Loes,concise and to the point just like what a video should be! You are very wise Queen Loes. Thanks for the inspiration as usual.